Emily wasn’t much of a believer in things happening for a reason – that is, until she met Brian. Emily and Brian met in May of 2017, and about 7 months later, their world was thrown for a loop. Brian suffered a stroke resulting in many days and nights in different hospitals and several health complications that could quite possibly be with him for the rest of his life – and Emily stuck by his side the entire time. While most people would say he is lucky to have her, she will quickly argue she is lucky to have him. 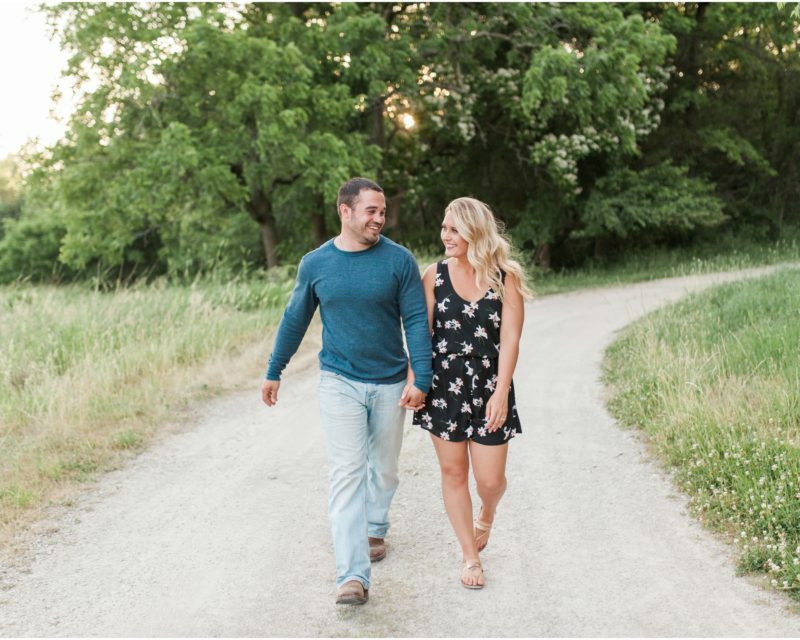 She describes her husband-to-be as sweet and thoughtful, which was definitely the case when it came to their engagement. Brian and Emily were in San Diego in June of 2018 visiting family when they went to the beach along with Brian’s son – Emily’s soon-to-be stepson. Brian had set up a romantic beach walk with a musician and flower petals and his son held up a sign asking her to marry his father. And of course, she said yes! 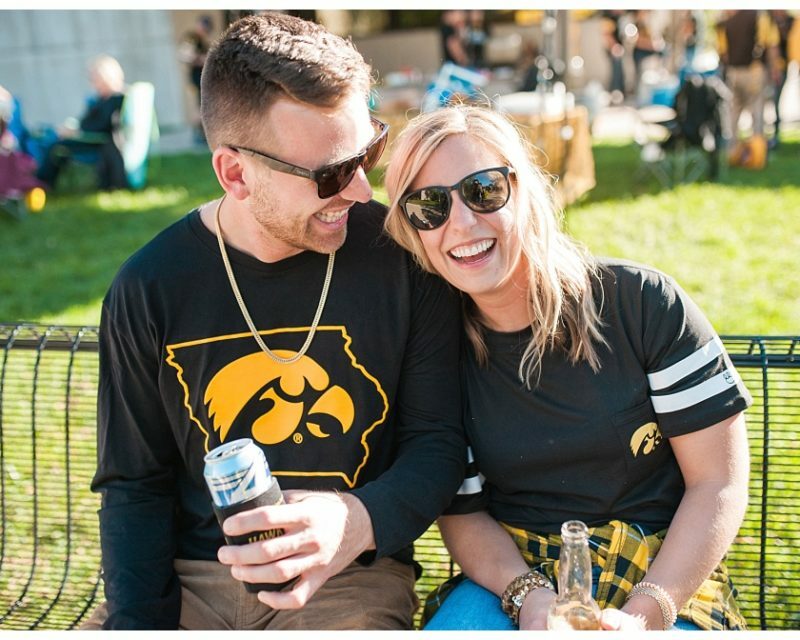 The couple plan to get married at Usher’s Ferry in Cedar Rapids, Iowa on April 12th, 2019. Brian is a huge Hawkeye fan and has been a season ticket holder for many years. 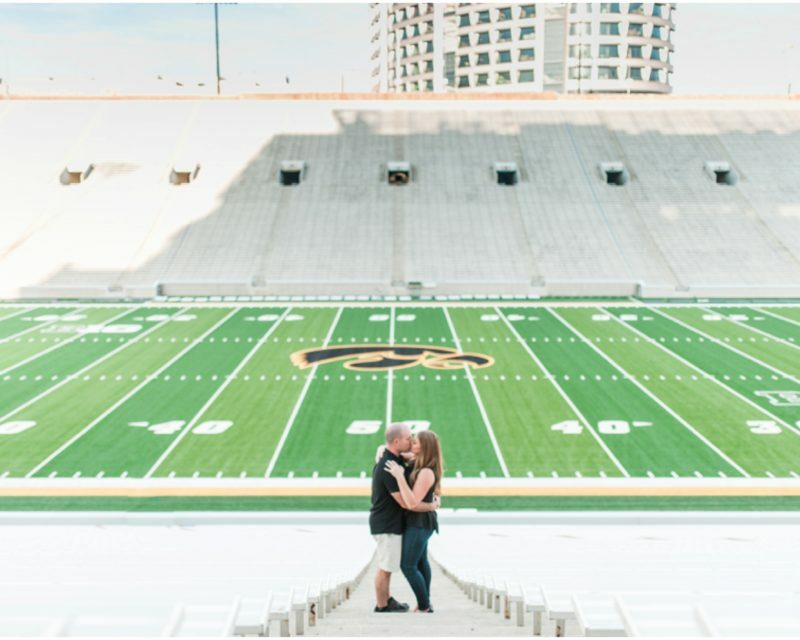 Emily wanted to surprise Brian by getting their engagement photos taken outside of Kinnick. They ended up being some of Brian’s favorite photos! Truly an amazing experience to be in Kinnick Stadium, all alone, as one of the biggest Hawkeye fans out there!